Cambria® is the leading producer of made-in-America natural stone that is handcrafted from start to finish for the absolute highest quality. It is made of pure, natural quartz, one of the hardest and most durable minerals on Earth and requires the bare minimum of upkeep—warm water and a clean cloth are all that is needed. 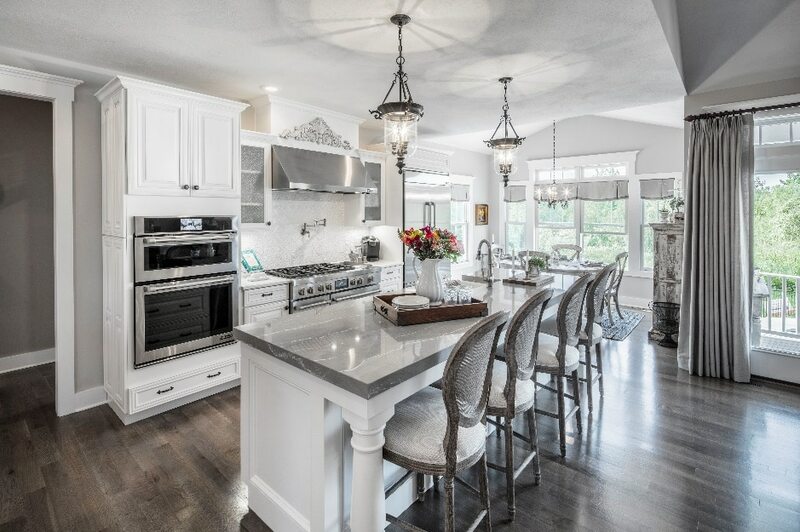 Cambria designs are 100% nonporous, scratch and stain resistant, completely maintenance free, and never needing sealing, polishing, or reconditioning—for a lifetime of beautiful design and function. 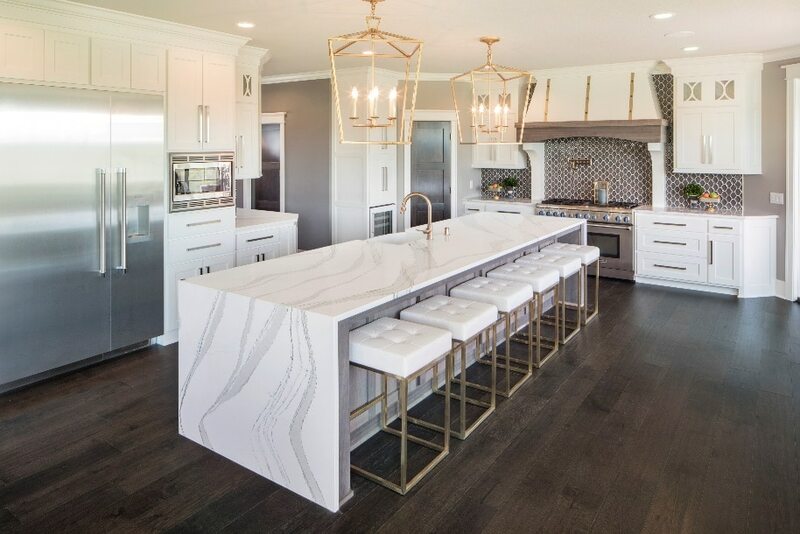 Cambria offers a wide range of color, tone, and movement, including the vibrant Skye™ and Annicca™, and stunning marble alternatives like the Brittanicca™ and Queen Anne™ designs. Cambria designs range from subtle and soft to show-stoppingly bold. Clareanne™ and Bridgewater™ are one-of-a-kind designs, perfect for gray kitchen palettes. Designs like Swanbridge™, Torquay™, and Ella™ set an elegant tone in kitchens or spa-like master baths. With powerful veining and movement, Brittanicca Gold™ and Rosedale™ make lasting statements in both modern and traditional spaces. Ten new designs have been released over the course of 2018, including the arresting black-and-white Mersey™, the muscular Levven™, and the watery Skara Brae™ address emerging, cutting-edge trends in surfaces. Cambria offers two surface finish options–high gloss or its revolutionary Cambria Matte™. Cambria Matte™ is a velvety, low-sheen finish that’s anything but dull. Known for its distinctive, sleek look and modern sensibility, it also has the same performance benefits as Cambria’s high gloss finish. 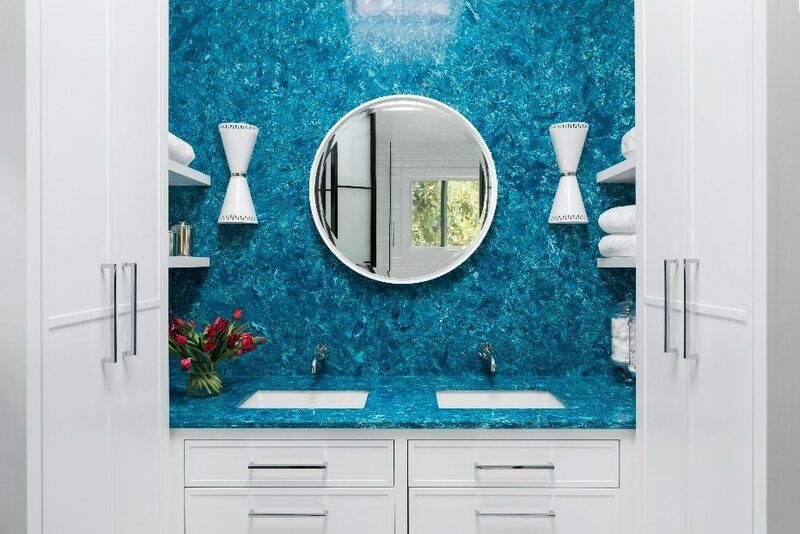 High gloss, with its reflective surface and classic pristine look, is a great option to visually expand a smaller space or brighten one that’s low on natural light. 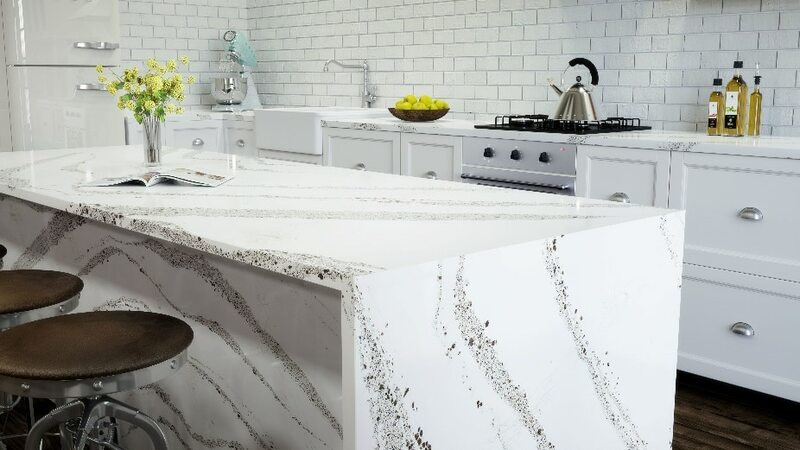 With advanced technology, Cambria manufactures its products with sustainably sourced, naturally clear quartz. Additionally, Cambria is Declare certified, as well as NSF 51 certified safe for use as a food preparation surface, as well as Greenguard certified for low VOC emissions. The company recycles 100% of its water used in manufacturing and fabrication, saving an estimated 1.6 billion gallons annually. 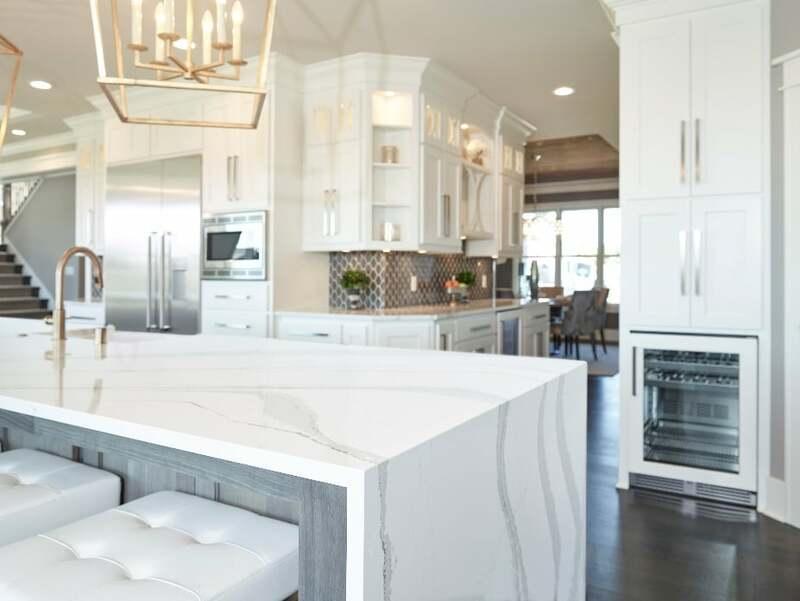 Explore the current design palette and learn more about all of Cambria’s products for everything from residential kitchen and baths to commercial accent wall applications and even furniture. See more inspiration and learn about the advantages of Cambria on Cambria's new blog, Refine + Define. To view Cambria locally contact Polybuilding by phone or email, or by visiting their showroom.